Right now, virtual reality is undergoing a renaissance driven by hardware improvements. The Oculus Rift is creating much of this perception, as the consensu opinion is that it offers a VR experience that is a clear shift towards offering the much-talked about sense of “presence” in an experience. Samsung, in a rather savvy move, has partnered with Oculus to offer a similar experience to owners of certain Samsung handsets with the Gear VR. But with all of the moves being made in the world of VR hardware, it will ultimately be the content that makes or breaks the emergence of VR. Samsung is looking to address this fact with the creation of Milk VR. Samsung is standing out by making a first foray into offering VR content at a time when VR content is scarce. Milk VR is an extension of Samsung’s Milk Music and Video, which are hubs that are currently offered in the United States for streaming content. Milk VR will extend these services into the world of VR, both for Samsungs own Gear VR device, and the popular Oculus Rift. The early model of this service appears to be offering free video content, primarily VR movies, perhaps with a Youtube-like ad revenue model to emerge at some point. What’s most surprising about the service is that it is entering a market where VR video content is not particularly prevalent, perhaps in an effort to push for more content for these devices. In order for VR to make a lasting impact in the market, the content must be both compelling, and constantly updating. The current VR hardware offerings have been compelling, and Samsung has been praised for offering a capable experience with Gear VR, which is little more than a headset that the Galaxy Note 4 handset can clip into. However, technology users have grown accustomed to a constant stream of new and updated content, and VR will remain a niche product until the content becomes undeniable. This is the challenge that Samsung is looking to address with Milk VR. The Samsung Gear VR offering has a distinct advantage in luring people who are on the fence about VR, but already own a compatible mobile handset. The Gear works by taking a Galaxy Note 4 handset and attaching it to the $199 headset mount. The headset contains lenses allowing for a VR field of view to be created on the Note 4 display, and buttons for controlling the Note as a VR device. Though $199 is certainly not a trivial amount of money, it represents a savings over the $350 needed to buy an Oculus dev kit. 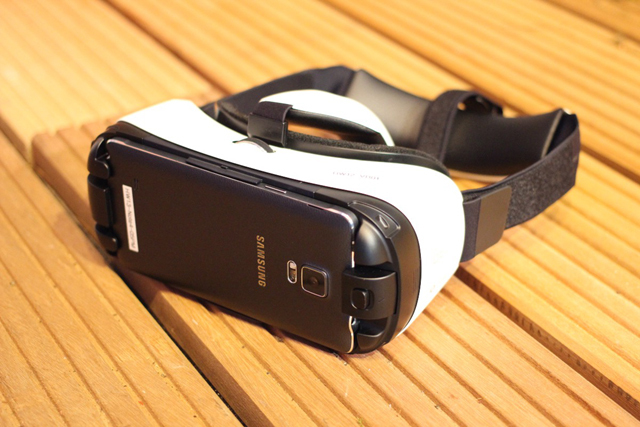 For those that already own a Note 4, simple curiosity may be enough to overcome the price hurdle for the Gear VR. Not only is Samsung looking to create a central source of compelling VR content, but they are looking to populate that source, leaving nothing to chance. The company has partnered with content providers including the NBA, Red Bull, and Refinery29, as well as executives from TV shows like The Walking Dead. Though Samsung maintains it is not entering the VR space in order to be a content company, it is certainly taking some initial steps to ensure that its hardware has plenty of compelling content to run. Samsung isn’t the only VR company that is making a big bet on the future of VR content. Oculus has recently announced the creation of Story Studio, a moviemaking arm of the VR company. Story Studio has recruited former execs from cinema giant Pixar, and appears to be focused on producing content that is largely CG in the same vein as Pixar movies. This seems like a reasonable opening move as computer generated movies lend themselves to 3D VR experiences readily. With the two major players in the VR space making big moves into VR movies, it seems self evident that these companies realize that content is critical to the staying power of VR.